Published on Tuesday, March 25, 2014. 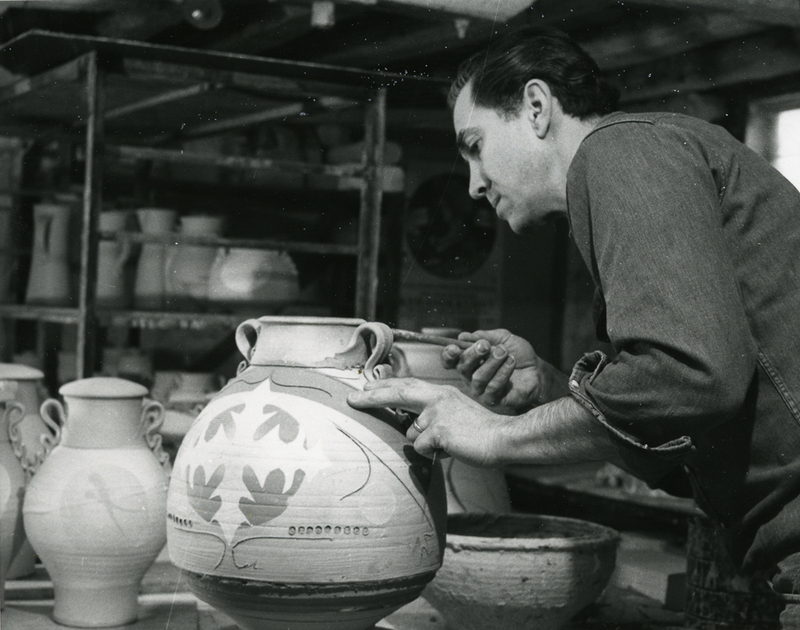 Ceramist Don Reitz (1929-2014), photograph taken in 1969. In the midst of the National Council on Education for the Ceramic Arts (NCECA) conference last week, the clay field lost one of its greatest educators and innovators, Don Reitz, who died on March 19. He was 84 years old. Born in 1929, Reitz received his B.S. in art education from Kutztown State College, Pennsylvania, in 1957 and his MFA in ceramics from Alfred University in 1962. He went on to become a professor at the University of Wisconsin-Madison until 1988, when he retired after 25 years with the honor of Professor Emeritus and relocated his studio to Clarkdale, Arizona. Reitz was known for having exceptional technical standards, commitment to process, selection of work, and personal ethics in his roles as both a teacher and an artist. 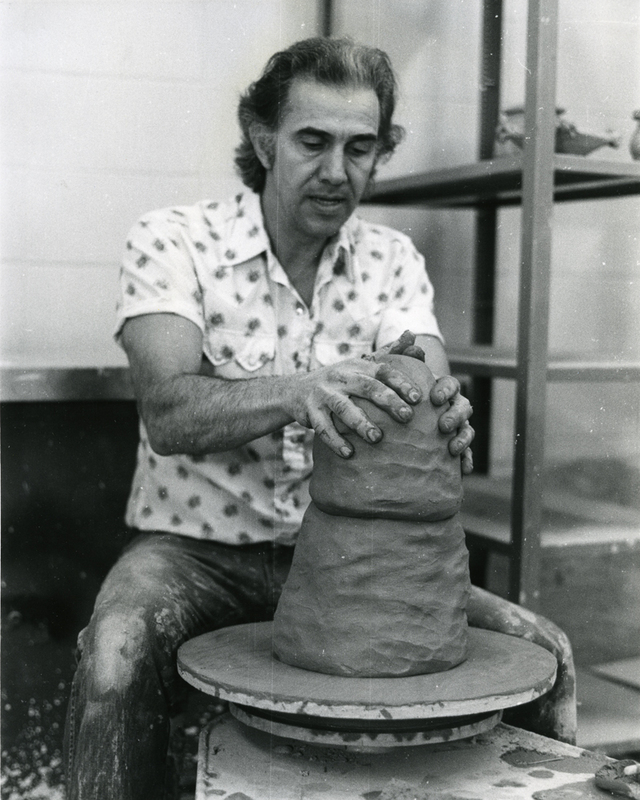 Throughout his brilliant career, Reitz was often referred to as "Mr. Salt" for inspiring a renaissance of the salt glaze technique in ceramic art during the 1960s and 1970s. While in Arizona, Reitz continued to teach and inspire students around the globe through his dynamic workshops and lectures. In addition to being named a Fellow of the American Craft Council in 1977 and receiving the ACC's Gold Medal in 2002, Reitz has been bestowed many honors including being named a Fellow by the Wisconsin Academy of Science, Arts and Letters; a Fellow of the World Crafts Council; Past President and named Fellow of NCECA; Recipient of the National Endowment of the Arts Grant; and the Governor's Award in the Arts, State of Wisconsin and State of Pennsylvania. Reitz's work is included in such prestigious permanent collections as the Renwick Gallery in Washington, DC; High Museum of Art in Atlanta, Georgia; Museum of Arts and Design, New York; and the Museum of Fine Arts Boston. When I work I think a lot. Mostly it's not about that which is in front of me. That action is generally a spontaneous response. I just think, tell ridiculous stories, or pretend I am the greatest artist of all time. I think about who is really forming who at this moment and other seemingly unrelated stuff, an integral component. Lately, due in part to the passing of my dear friends and heroes, I have been thinking about time. Surely the greatest gift of all, yet we take it for granted. This gift of time what shall I do with it? How much time is there? Will I waste it by worrying about the RULES, yesterday's idea, or about laborious, extraneous techniques before I need them? I choose not to. Over the years time has allowed me to manipulate my forms and surfaces with some degree of innate intelligence and personal satisfaction. Time, an essential ingredient in firing, hardens and colors the clay, but also gives me time to think and look inward. Time has enabled me to bring to my work a personal uniqueness, a clarification of purpose. These works serve as a bridge which allows me to move freely from reality to REALITY. In the interface I am free of convention, opinion, and burdensome history. My work becomes a personal iconography enabling me to visualize and organize my information. My marks are there in the clay. My signature. For more information on the life and work of Don Reitz, please read the "Fearless Nature of Being: The Legacy of Don Reitz" by Peter Held, as published in the SOFA Chicago 2011 catalog or check out photographs of Reitz demonstrating the salt glaze technique in the ACC Library Digital Collections.